National Pie day is an annual celebration that started around 1970 and observed on January 23rd. Many celebrate this day with pie-themed deals on pizza and sweet pies. We’ve decided to celebrate a little different by providing a list of restaurants who serve “not so norm” pizza pies! 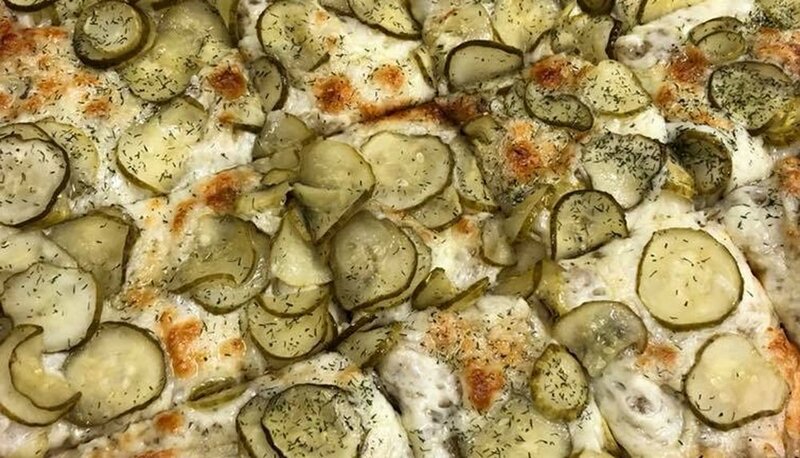 Whether you have taste for a 24K pizza, which must be ordered at least 48 hours in advance or a pizza full of pickles…we have enough options for you to choose! Take a visit to one of these restaurants and enjoy one…or two of their infamous pizza pies! 24K Pizza: This pizza is a part of the Guinness World Record. On it, there’s Stilton, foie gras, platinum Ossetra caviar, truffle, 24K gold leaves…to get this pizza, you must order 48 hours in advance. Caponata Pizza: This pizza consists of red sauce, squash, eggplant, olives, golden raisins, and red onion. We recommend for the veggie lover! Spuds McKenzie: This spud pizza includes mashed potatoes. cheddar. house mozz. bacon, buttermilk, chives and black black pepper. The Honey Badger: This pizza includes...roasted pignoli nut and honey glazed crust, Pomodoro sauce, and mozzarella, with diced cherry pepper, pepperoni topped with drizzled honey, pecorino Romano and extra basil. D’Amore Munchie Pizza: This off the menu special includes feta cheese, bell peppers, and home made potato chips for a salty crunch. We’re looking forward to trying this crunchy delight while in LA! Spicy Peanut Butter Pizza: Wow, what a treat this is! This spicy peanut butter pizza says it all in the name. With the various locations, John’s Incredible Pizza is a great choice for lunch or dinner!